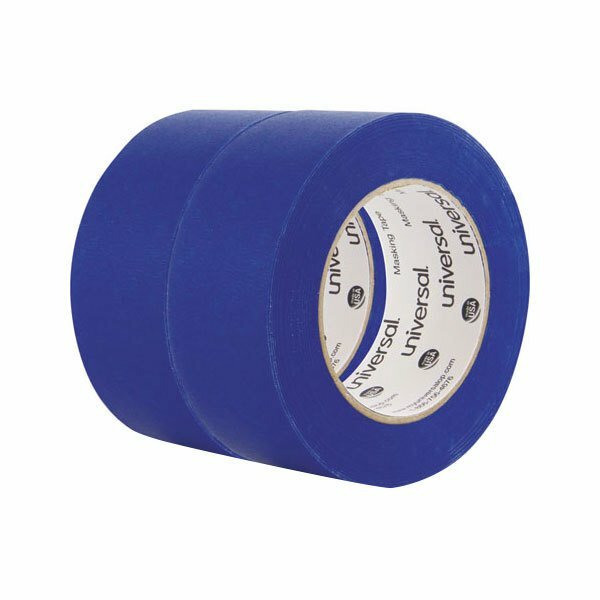 A convenient and versatile tool, this Universal UNVPT14049 2" x 60 yards blue painter's tape is an ideal addition to offices, warehouses, and construction sites! Its designed with a synthetic rubber adhesive that creates a strong bond when applied, but also removes cleanly. 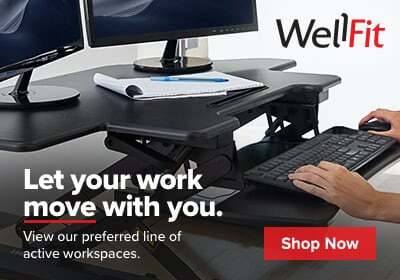 Plus, it's durable in humidity and against UV rays for up to 14 days, so this tape is sure to stick in a variety of environments. This tape conforms well to most surfaces and produces excellent paint lines when used as a painter's tape. Its 60 yard length provides an ample supply for long-lasting use, and its construction makes it easy to tear off the desired length every time you need it. Use this blue masking tape to complete a variety of projects! 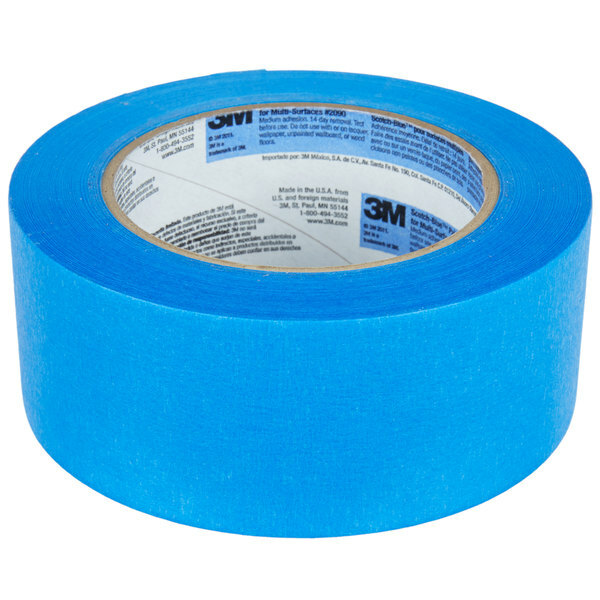 Check out this 3M 2090-48A ScotchBlue™ 1 7/8" x 60 Yards Blue Painter's Tape instead! This comparable product features a 60 yard length for long-lasting use, and its construction makes it easy to tear off the desired length every time you need it. This tape boasts a medium-strength adhesive that easily sticks to painted walls and trim, woodwork, and glass or metal surfaces.